Total Control Racing has confirmed its second driver signing for the team's maiden season in the Ginetta Junior Championship with British KF3 Open Karting Champion Jamie Caroline joining fellow car racing rookie Matt Chapman at the Wednesbury squad. with his KF3 Open success was also the 2008 Super 1 British Honda Cadet Champion and Vice-Champion in the 2011 MSA British Cadet Karting Championship, confirmed his graduation into Ginetta Junior a fortnight ago and is now thrilled to have agreed a deal with TCR. 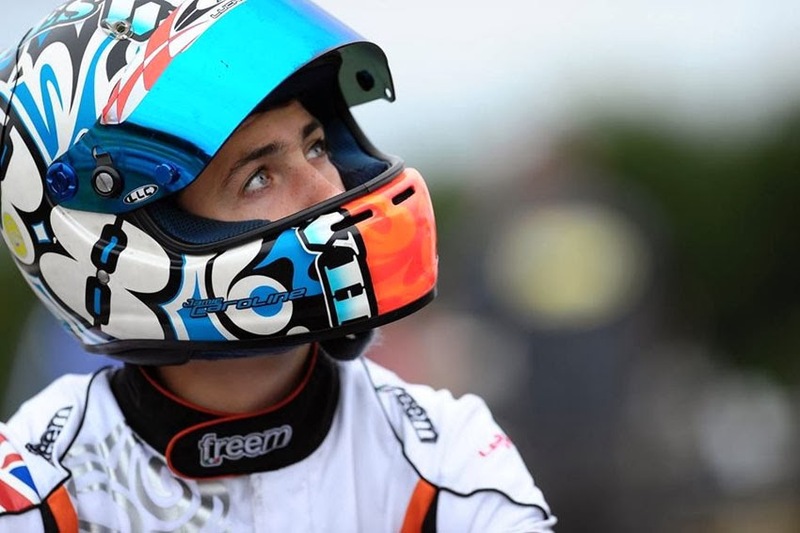 "It's absolutely fantastic to be racing with TCR for my first season in cars, the team is at the front in every championship it competes in so I know I'll have a great car," said the 14-year-old, "I've enjoyed some good success in karting, in Honda Cadet right through to KF3 last year, and the aim is to try and emulate that in Ginetta Junior. It's the perfect place to start my car racing career." As the son of 2003 TVR Tuscan Challenge Champion Lee Caroline, the Waringham-based teenager certainly has motorsport in his blood and began karting at the tender age of eight - having passed his ARKS test on his actual birthday. Starting out in Honda Cadet in 2008, Caroline won his first title - the Buckmore Park Summer Championship - the following season before claiming the Super 1 British Honda Cadet title, the Formula 6 'O' Plate crown and posting five lap records along the way. Competing in the Comer Cadet class in 2010, he finished 13th in the MSA British Championship despite missing part of the season due to school commitments and health reasons. Returning to winning ways in 2011, Caroline racked up an outstanding unbeaten run of 20 wins and ended the year as the MSA British Cadet Karting Vice-Champion… missing out on the title by a whisker. Graduating to KF3 in 2012, he finished an impressive fifth in the British Championship before winning the British KF3 Open title last year - even though he had the set-back of sustaining a broken wrist during the first race of the 2013 season. Caroline also won on his debut in the German Karting Championship before turning his attention to cars and entering the Ginetta Junior Scholarship. "It's great news we've been able to agree a deal with Jamie and his dad, he’s had a lot of success in karting and he was in the top four in the Scholarship last year. We know he's got what it takes to have a strong first season in cars and we're looking forward to helping bring him on during the year," said Team Principal Lee Brookes. Rounds one and two of the 2014 Ginetta Junior Championship, which will once again run in support of the high-profile Dunlop MSA British Touring Car Championship, will take place on March 29-30, 2014 at Brands Hatch Indy Circuit in Kent - Caroline's 'home' track.